There are loads of items you can get away with buying on the cheap. For example, a £40 pair of espadrilles is no more resistant to being beaten up during one summer's wear than a £400 pair is. The same goes for a Breton top—no one will ever really know whether yours is from an expensive French brand or your local Topshop. 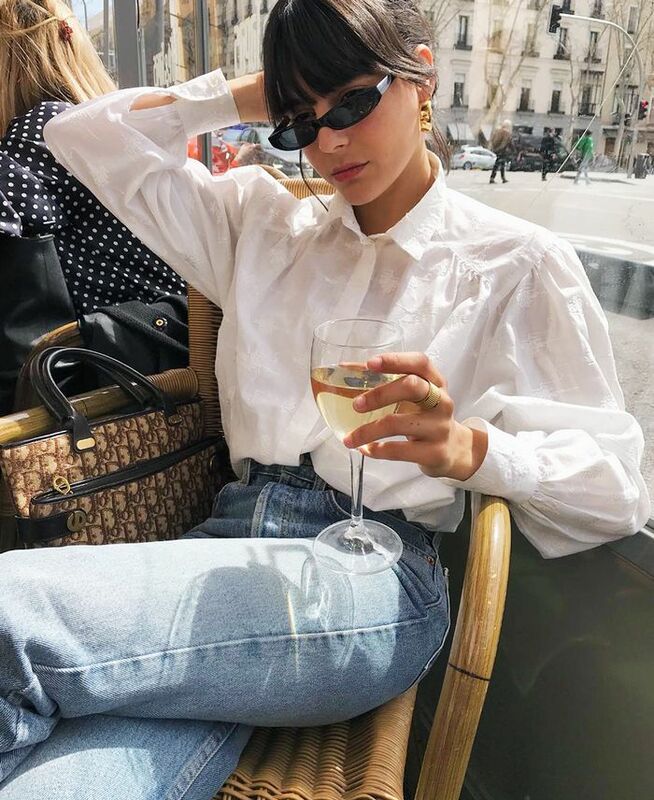 Similarly, basket bags, statement earrings, sunglasses (so long as they're UVA/UVB compliant) and other short-lived accessory trends are best to buy on the high street. Sure, higher price tags will guarantee better quality and promote a more conscious shopping approach (very important), but I believe there are certain items that are more worthy of your cash/credit/soul because they really do last, fit better, feel better and never go out of fashion. In my twenties, it wouldn't have bothered me, but now that I've seen enough fast-fashion items end up in charity shops, I've realised that buying quality accessories isn't just a myth fashion people peddle—it really makes a difference to one's forever closet. Clothing trends can be slightly more transient, but a decent add-on tends to offer unparalleled longevity. So keep reading to see the accessories I'd suggest you never scrimp on and the versions for each that are best in class for 2018. There are plenty of brilliant cheap gold earrings out there in the world, but knowing that you have a pair that will literally last you an entire lifetime is pretty special. They never go out of style and you can wear them every day, so the cost-per-wear value (as well as not breaking or causing green ears) is pretty good too. One of the worst fashion mishaps is when a pair of flat shoes cut your feet to shreds. Which is why a decent pair of leather loafers (and right now it's all about Bally's impeccably well-made ones) will serve you for years to come. Keep them protected with the right leather creams and get them re-soled whenever required. These beauties have a foldable heel so you can wear them as mules, too. There are two sides to this argument. Firstly, it's not good to buy counterfeit goods. Secondly, the logo trend has led some high-street brands to create their own similar-looking in-house logos… a bit questionable, perhaps? You may disagree on this one, but coming from a scarf addict and connoisseur, you can see the difference between a cheap scarf and one that has been rendered in silk and expertly printed and designed. These little outfit-transformers can work year after year (in tons of ways), so you may as well find one that can go the distance. Belts (particularly those with logos) do not look good when they're made out of low-end leather and cheap fastenings. In this case, save your money for the good stuff. We know some women who wear their mother's vintage Gucci logo belts because the quality has lasted them decades. What is it about cheap tan bags that look so, well, cheap? I'm not sure what this boils down to, but since this piece is a capsule wardrobe must-have, I would say it's well worth saving up for a top-notch version. Saving your dollars for a piece that will last you for years to come doesn't sound so bad now, doesn't it?